Product #17050 | SKU 9014 | 0.0 (no ratings yet) Thanks for your rating! 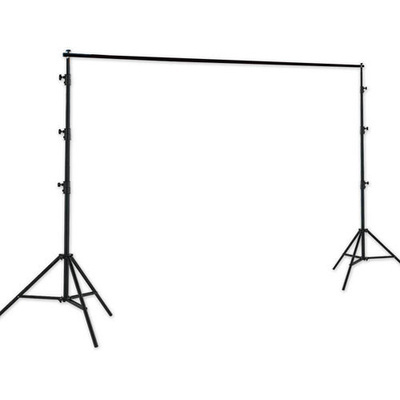 This Westcott Background Support System consists of two stands, a collapsible crossbar that extends to 3.2 m, and a carrying case. The system supports both the 10 x 12' and 10 x 24' sheet backgrounds. Optional Background Clips (9017) and crossbar will allow you to add an additional sheet background from the same set of stands.